We specialise in domestic and industrial electrical installations, repairs and designs throughout Manjimup, Pemberton, Northcliffe, Bridgetown, Frankland, Boyup Brook, Nannup and Windy Harbour. Manjimup Pump & Electrical Shop - dependable electrical contractors, offering domestic and industrial electrical installations, repairs and design all over Manjimup, Pemberton, Northcliffe, Bridgetown, Frankland, Boyup Brook, Nannup and Windy Harbour. As professional electricians, we specialise in pump, fridge, washing machine and solar repairs and many more. Are you looking for a qualified electrical contractor to do pump repairs? Does your home need rewiring services or you just need domestic electrical installation? Manjimup Pump & Electrical Shop is your number one electrician providing electrical services to the areas of Manjimup, Pemberton, Northcliffe, Bridgetown, Frankland, Boyup Brook, Nannup and Windy Harbour. We specialise in domestic, commercial and industrial electrical installations, repairs and design. 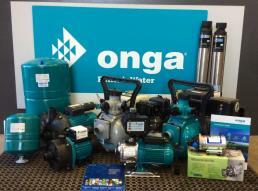 We are also your local agents for Onga - Pentair, Franklin Electric, Lowara, Ebbara and Mono pumps. We repair, service and supply pumps to meet your water needs. We are your local service agent for Fisher and Paykel and TECO white goods. Manjimup Pump & Electrical Shop is your local Waeco-Dometic stockist and service agent. We are your local experts when it comes to pump repairs and installation of submersible pumps, bore pumps, sewerage pumps and solar pumping. With a range of Onga pumps, Franklin Pumps, Lowara Pumps and water filters on hand. Come in and check our showroom today. Other services we offer include domestic electrical installation, electrical rewiring, washing machine repairs, fridge repairs, solar repairs, smoke alarms, circuit breaker installation, water filters, solar installer, uv water filters, safety switch, meter box, bore water testing and rcd installation. 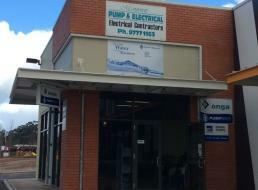 Manjimup Pump & Electrical Shop is your specialist when it comes to electrical and pump services. Our electricians have been highly trained to about all types of pumps and how to conduct repairs. We are dedicated to providing our customers with a satisfactory experience by offering top quality services. We have been catering to residential, commercial and industrial clients for many years now and we have established a solid reputation for quality workmanship and excellent customer service. So if your water pump breaks down and you need help fixing it, you can rely on us to be there to give you the assistance you need. No job is too small or too big for Manjimup Pump and Electrical Shop. Call and speak to one of our friendly staff today.